SockMonkey co-founders, Bob Makin and Darren Cuthbert. 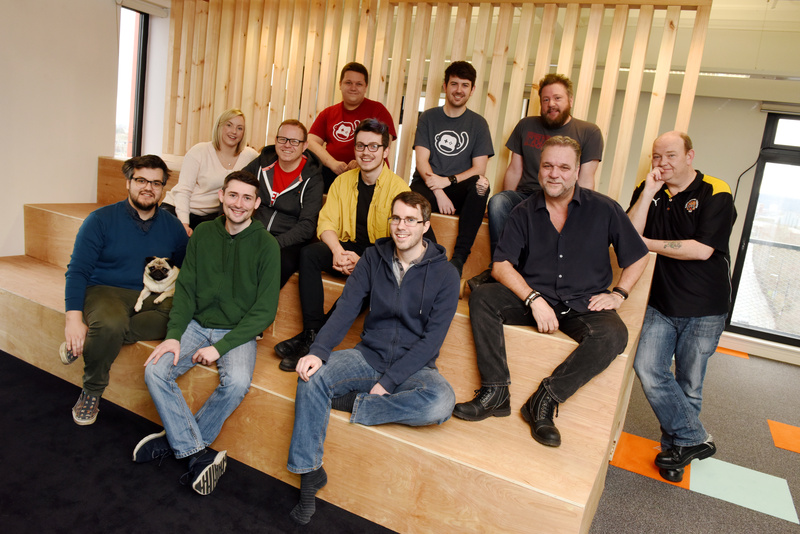 Middlesbrough-based games development studio, SockMonkey has seen its headcount grow from five to 13 in the last year. This is due to expanding work with global clients, including SEGA and other global entertainment brands. In addition to the new hires, including local games industry veteran Darren Falcus, who brings more than 35 years of experience to the director of business development role, SockMonkey has also moved into larger offices in Middlesbrough’s BOHO 5. The office, which includes a games area similar to those seen in Silicon Valley, will give the studio room for future growth. Bob Makin, CEO, SockMonkey, said: “Basing ourselves in Middlesbrough and choosing to only work with the best people in the industry has helped us build a culture where everyone is happy in their work - that has paid dividends and is helping us to win larger new contracts. The company, founded by Makin and Darren Cuthbert in 2013, has consistently grown by around 30 per cent year-on-year, with ambitions to become a 50-person studio by 2021.